Offers comfortable & convenient self catering one bedroom accommodation. Units are self-contained with full kitchens - refrigerator, stove, microwave, toaster & coffee maker. The living room, dining room and kitchen are in an open area. Bedroom contains built-in cupboards and is air conditioned. Toilet /bathroom, cable TV in each unit.. The bedroom on the ground floor in Unit #3 is furnished with two single beds and the bedroom on the 1st floor in Unit #8 is furnished with a double bed. The building is three stories high. All the patios have a sea view and there is a jacuzzi on the roof top. Two minute walk from the sea and beach has clear white sand. Beach is popular for wind and kite surfing. Five minute walk to nearest mini-mart. Two minute walk to nearest restaurant (located at the Silver Point Hotel). There are other small hotels and guesthouses in the area. 10/15 minute drive to Oistins - well renowned for its grilled and fried fish particularly on Friday nights. There is also a shopping plaza in OIstins with a large supermarket and a variety of other shops. 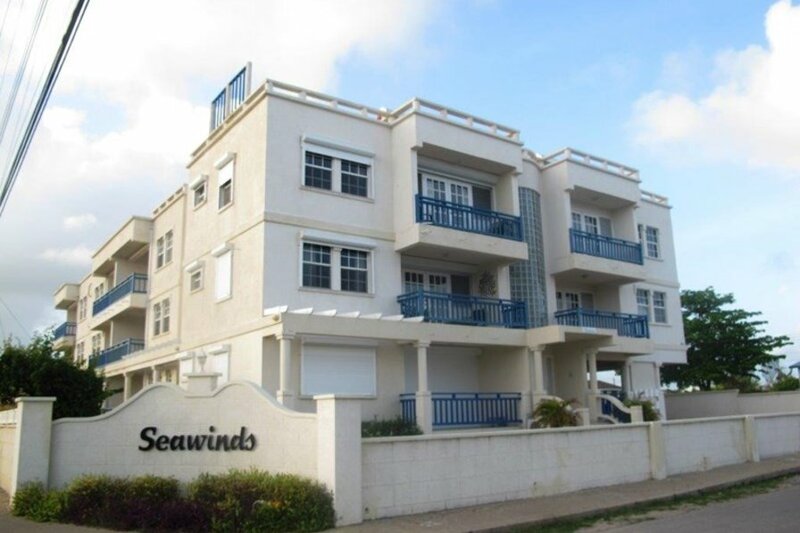 Seawinds is approx 20 minutes from the popular St.Lawrence Gap with a wide variety of bars & restaurants. St.Lawrence Gap is the mecca for night entertainment in Barbados. Seawinds is well serviced by public transportation. Taxis and hired cars are available if desired. Tours to places of interest can be arranged.